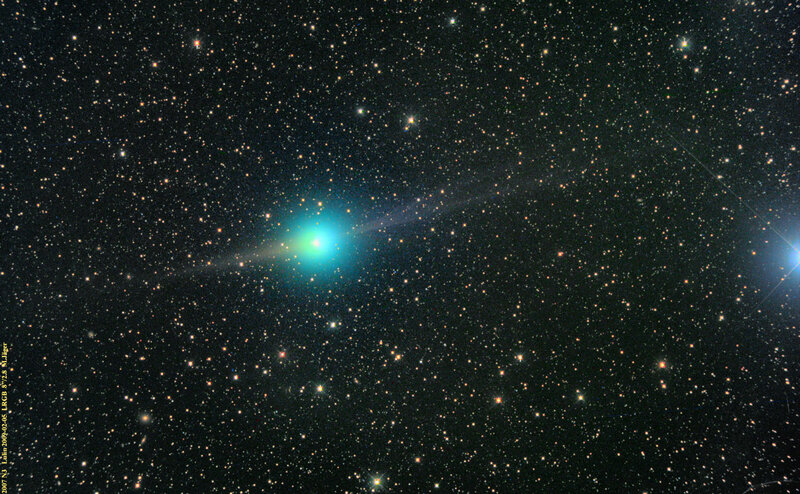 Comet Lulin is making its approach to double star Zubenelgenubi. 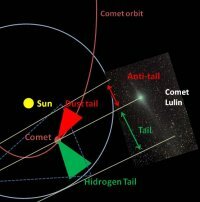 It also appears that Comet Lulin has regrown its ion tail after the disconnect from yesterday. 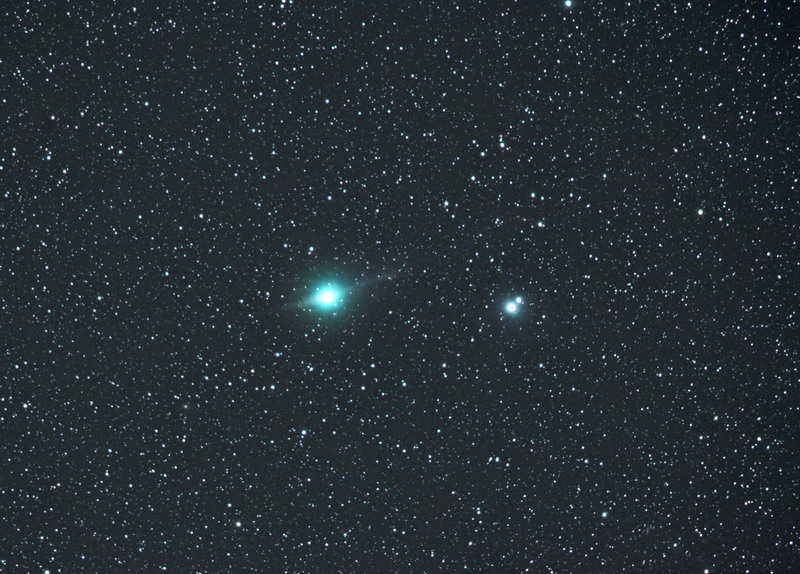 Equipment used included a Canon EF 200mm f/2.8L II Camera Lens at f/2.8 and Canon XTi piggybacked on a C8. 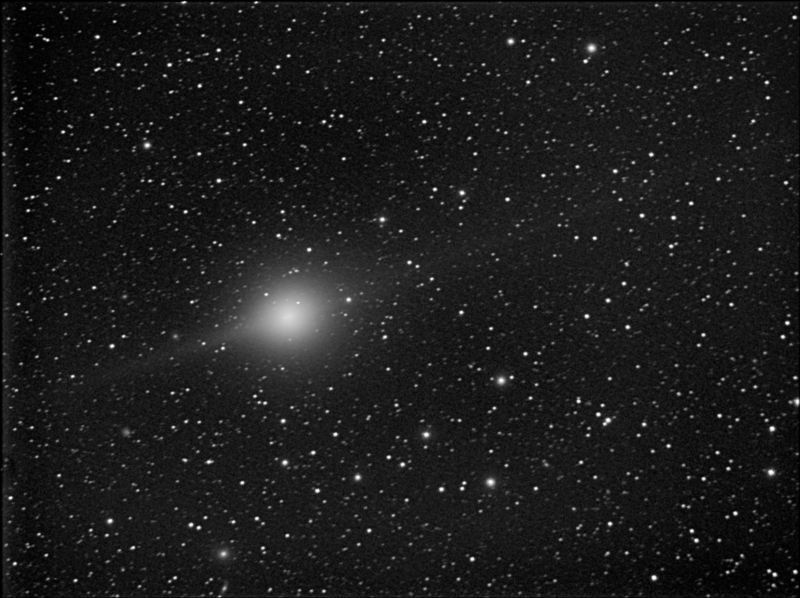 Exposure was 15x240 sec @ ISO 800. 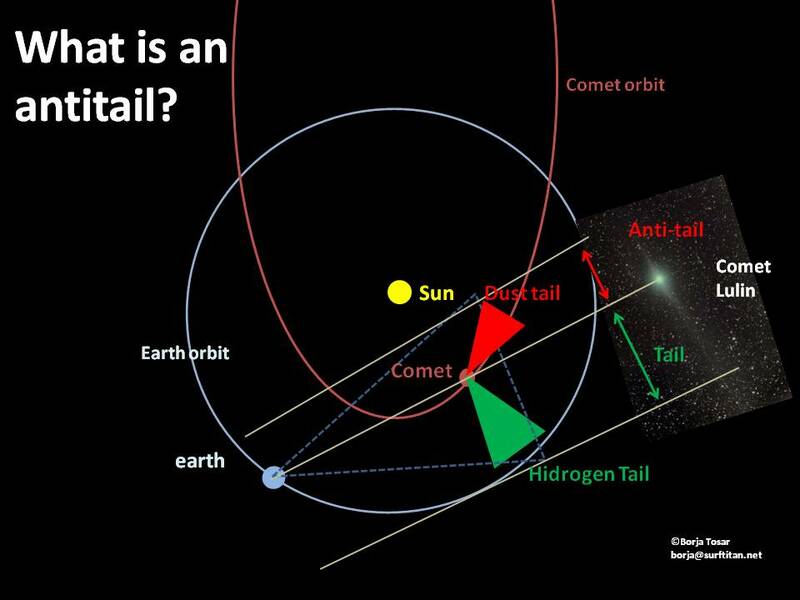 This diagram shows the geometry of Comet Lulin's tail and anti-tail.